For many centuries, the subject of deprivation of reason attracted many artists. 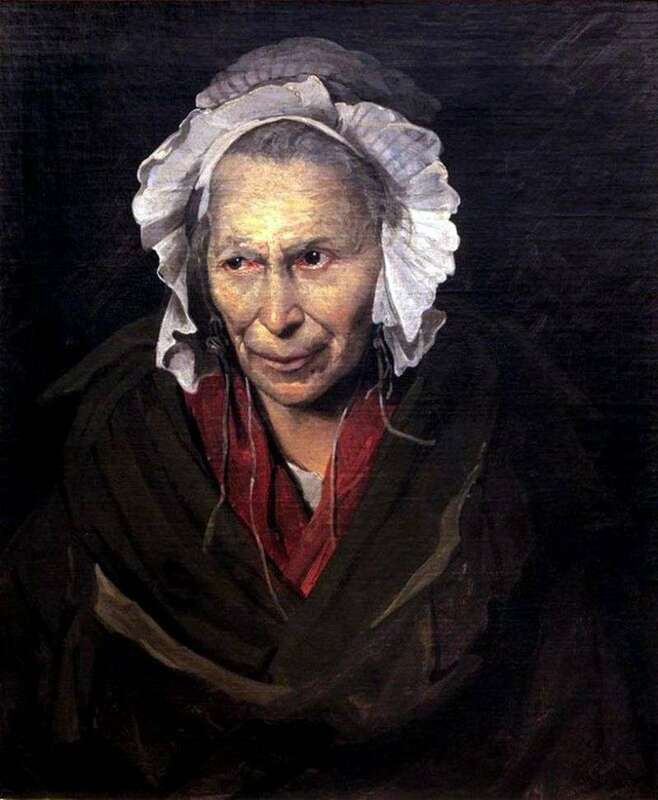 The canvas, depicting a crazy woman, was written by Theodore Gericault in 1822. Sneaked by a premonition of his imminent demise, Gericault embodies his experiences on this canvas. A severe mental illness or loss of reason for a person is like death, in a spiritual sense. The picture depicts a woman who has long been comprehended by this destiny. Her thoughts are floating in lands far from the earth, unknown to a healthy person. Her reason no longer perceives the line between reality and illusion. The appearance of a woman reminds the viewer of her ailment. Hospital clothes testify to the fact that the heroine is in a closed institution for the crazy. From under the white cap, strands of gray hair are beaten out, the face is delineated by deep lines of wrinkles. Skin, with a touch of unhealthy yellowness, tightens its outlined cheekbones and high forehead. The patient’s sight is devoid of expression and life, although slightly swollen eyes glitter feverishly. On her lips you can see a semblance of a smile. Perhaps, now unhealthy mind plays with her in evil games. Earlier, Theodore Gericault created paintings in a romantic style, but what prompted him to create a canvas of this type? In the image of an unhappy, crazy woman, he put his own fear of losing his mind. This explains his sense of compassion for the heroine, for her rebellious restless state of mind, and Gericault’s desire to convey to the viewer a subtle line that separates a healthy person from a mentally ill person. At the request of his friend, Doctor of Psychological Clinic, Gericault created a number of portraits of crazy people. The main idea of these paintings was the expression of not external manifestations of progressive mental ailments, but internal experiences of sick people. Description and meaning of the painting Portrait of a Madman by Theodore Gericault.